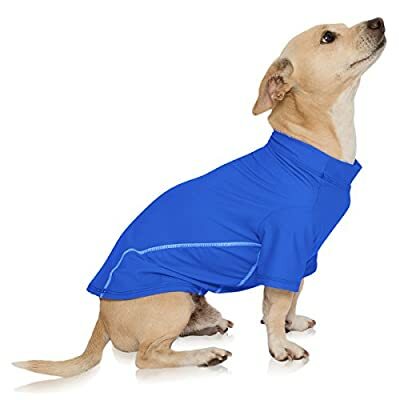 The PlayaPup Sun Protective/Lightweight Dog Shirts are adorable sun-protective shirts for your dog! 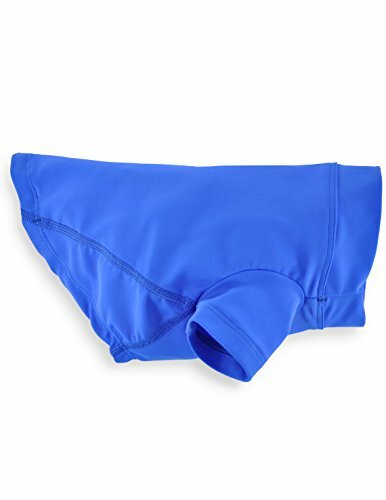 The material is chemical free, elastic enough to be comfortable while your dog moves and can protect your dog from UVA/UVB rays, wet or dry, with the UPF 50 plus fabric! We highly recommend this product and we hope your dog enjoys the sun and the shirt as much as we do! We design fun, colorful products your pet and you will love. Fashionable lightweight shirts are great for any outdoor activity. Great for hot days to help keep your dog's coat cool all day long. Also great for use after surgery to protect their sensitive areas. Sun shirts are comfortable, super soft, quick-drying, and offer 4-way stretch. No saggy shirts (like most dog shirts made from cotton)! Made from 80% Nylon/20% Spandex, our fabrics are rated UPF 50+, the highest sun protection provided by apparel and blocks 98% of harmful UVA and UVB rays. All PlayaPup sun protection styles are made from fabrics that are free of sunscreen chemicals too! No sunscreen needed, for covered areas, for sensitive pooches. SEE SIZING CHART UNDER PRODUCT IMAGES TO FIND THE BEST SIZE FOR YOUR DOG.